Sofia Richie Does Some Shopping with Boyfriend Scott Disick | Scott Disick, Sofia Richie | Just Jared Jr.
Sofia Richie heads back to her car after doing some shopping at Barneys New York on Thursday afternoon (March 21) in Beverly Hills, Calif. The 20-year-old model kept things cool in a black bomber and jeans as she was joined by boyfriend Scott Disick for their outing. Sofia was recently in Kuwait for a quick business trip. While she was there, she took to Instagram to share a photo of herself soaking up the sun. “Working on my tan,” Sofia captioned the below photo. 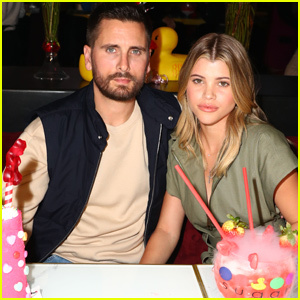 Sofia Richie Vacations with Scott Disick in Cabo!